On this week’s episode, we have electronic musician-drummer-activist Kiran Gandhi aka Madame Gandhi! She talks about her feminism, being MIA’s drummer, cutting her teeth in the music industry as a digital analyst at Interscope Records, and balancing Harvard Business School while touring. She recently completed her India tour in December last year. And we’ll be featuring tracks and remixes from her latest EP “Voices”. Opening the show is a stripped down session from downtempo act Second Sight who featured on Ep.124 of Maed in India. Also, don’t miss this weeks ATKT.in’s college feature, showcasing the songs 'Shaitaan Ka Ghar' and 'Moksha' at the end of the podcast! For the first episode of 2018, Mae has decided to look back at the best performances of 2017 on Maed in India. Across the show, she takes you through her highlights for the year, her favourite songs and she even gets a little emo about her life and times on Maed in India. You'll also get a chance to hear music from the biggies like Apache Indian, Indian Ocean & Uday Benegal to up and comers like Aditi Ramesh, Bone Broke and The Yellow Diary. So sit back, relax and listen. On this week’s episode, we have blues-rock-jazz guitarist Kush Upadhyay! He talks about playing guitar from the age of 11, collaborating with virtuoso drummer Gino Banks and bassist Sheldon D’Silva on his latest album, why he struggles to name his songs as well as performing special stripped down versions of his songs for the first time ever. Opening the show is a stripped down session from Bombay Acoustic People who featured on Ep.12 of Maed in India. Also, don’t miss this weeks ATKT.in’s college feature Madhav Khanna with ‘Tu Hai Wahi’ at the end of the podcast! 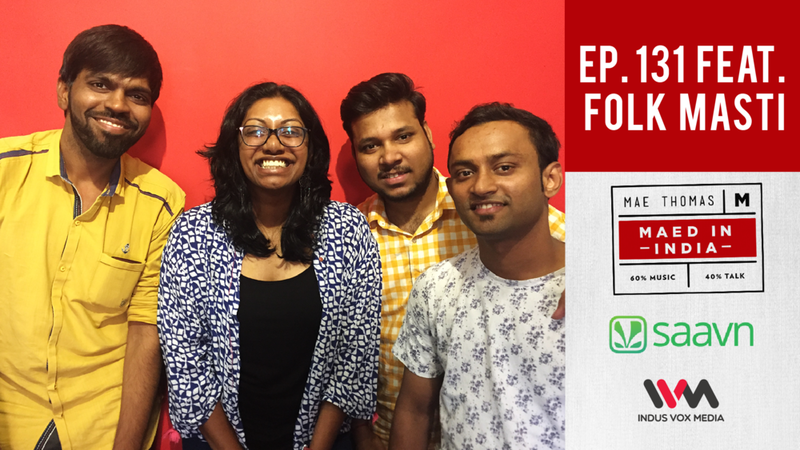 On this week’s episode, we have indie folk band Folk Masti! They are celebrating their 3rd year anniversary and played over 200 gigs so far. Listen to them perform unrecorded and unreleased songs on the show as they plan to release their debut EP next year. Opening the show will be Ankur & The Ghalat Family who featured on Ep.81 of Maed in India. On this week’s episode, we have singer-songwriter-composer Alluri! He is an artist who hails from Hyderabad, broke his musical career in the UK with his Brit indie rock sound, and now he’s back in the motherland with a plan to release a full Telugu album with his unique indie sound. Opening the show will be Delhi singer-songwriter and guitar-spanker Dhruv Vishvanath who featured on Ep.82 of Maed in India. On November 18th 2017, Bangalore folk-rockers Swarathma featured on the 4th edition of Maed in India Live! Opening with a brief chat with the band, they performed live at antiSOCIAL, Khar, playing some classics from their repertoire and unreleased material from their upcoming record. They also pulled out all the stops to give Mumbai an unforgettable performance that had everyone singing with rapture and dancing with glee. For all those who missed the show or want to relive those moments again, here is your chance to listen in! On this week’s episode, we have rapper, producer and hip hop artist Shah Rule! Born in Hong Kong, raised in Moscow, studied in London, he now lives in Bombay. Out with his new single ‘Superstitious’, he talks about being an international nomad, rapping since the age of 10, having issues with your building society, being on Hard Kaur's new mixtape, and the women who inspired his music. Opening the show will be reggae-funk band Bombay Bassment who featured on Episode 34. On this week’s episode, we have Baul folk-fusion, singer-songwriter Wriddh! He talks about his musical family, how he got into Baul music, juggling between his journalism and his music, and his future plans. Opening the show will be Hindi folk rock act Pravaah who featured on episode 123. 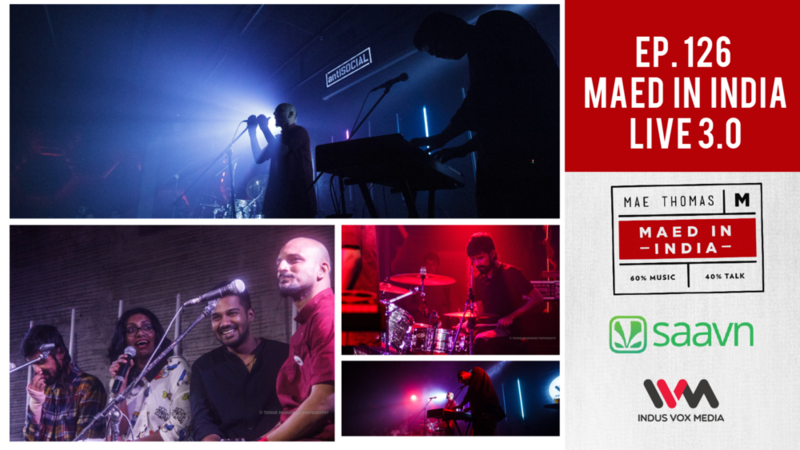 On October 12th 2017, electro-rockers Laxmi Bomb featured on the 3rd edition of Maed in India Live! Opening with a brief chat with the band, (who featured on Episode 3) they performed live at antiSOCIAL, Khar, playing tracks from their latest unreleased album 'Bol Na Ranti'. For all those who missed the show, here is your chance to listen in! To kick off the show, we have a track from Bangalore folk rockers Swarathma, who will be playing the 4th edition of Maed in India Live on November 16th. On this week’s episode, we have Alternative Urdu Rock act Parvaaz. They talk about their Kashmiri roots, forming the band in Bangalore, their 7-8 mins long songs, their recent Canada tour and more. Opening the episode is a song by hindi rockers The Yellow Diary who featured on Episode 102. On this week’s episode, we have Indie downtempo pop-rock act Second Sight. They talk about studying at the Swarnabhoomi Academy of Music, putting the band together, their songwriting process (which includes writing songs in Spanish!) and more. Opening the episode is a song by indie dream-pop outfit Lawntuba who featured on Episode 63. 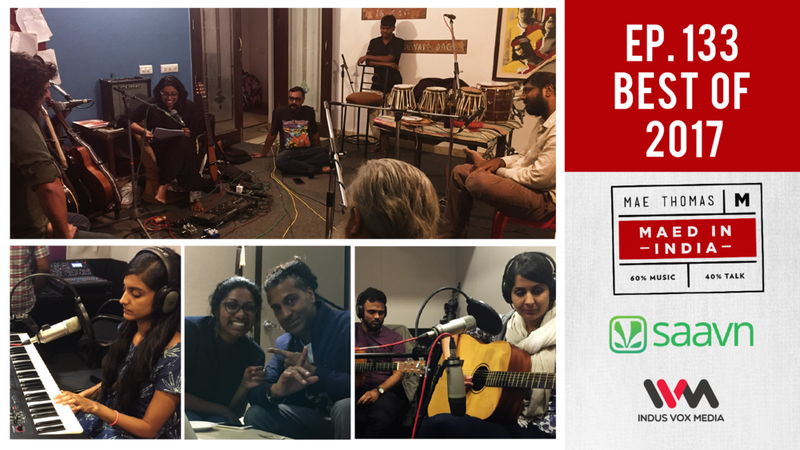 On this week’s episode, we have Hindi folk-rock act, Pravaah. They talk about how they came together, quitting their jobs to pursue music, their songwriting process, their single ‘Mukaam’, and more. Opening the episode is a song by Rohit Vasudevan who featured on Episode 123. On this week’s episode, we have pop singer-songwriter and multi-instrumentalist Sooraj. He talks about playing piano at the age of 2, his debut EP, how he's a jamroom dictator & moving to Musicians Institute, Hollywood. Opening the episode is a song by Neel Adhikari who featured on Episode 108. 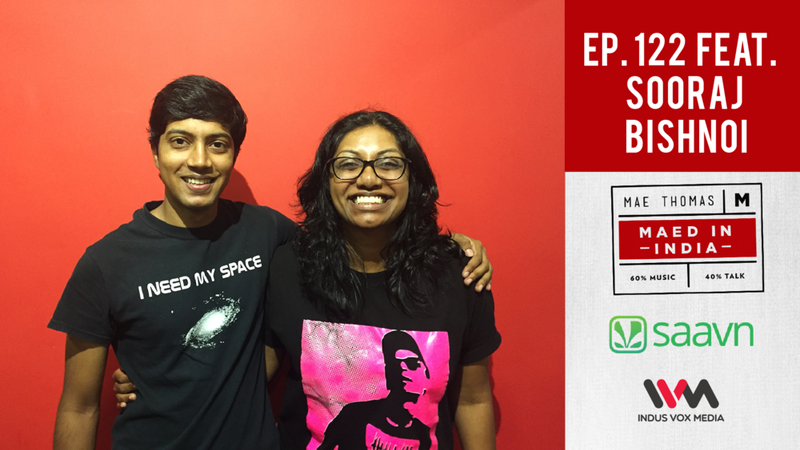 On this week’s episode, we have pop singer-songwriter Aarya. He talks about his recently released EP, trying out for talent show ‘The Stage’ as well as his songwriting process. Also, On October 12th will be our 3rd edition of Maed In India live, so opening the show will be tracks from our featured acts Laxmi Bomb and Su Real. On this week’s episode, we have drummer, DJ & producer Aditya Ashok aka OX7GEN. about his 3 EPs, touring Europe supporting The Deftones, meeting the Kooks in Dubai, and he even brings some new music he’s been working on. Opening the show will be singer-songwriter Zoya Mohan in her electronica avatar, featured on Episode 98. On this week’s episode, we have jazz, blues Carnatic singer and songwriter Aditi Ramesh! We talk about how she left corporate law to pursue music, working with her label NRTYA as well as performing music from her debut EP.. Opening the episode is a stripped down session from Dhruv Vishvanath who featured on Episode 82. On this week’s episode, we have indie-pop singer-songwriter Tejas. We talk about his new album, crowdfunding, his songwriting process and how things have changed since I interviewed him on Episode 16. Opening the episode is a special tribute to virtuoso pianist Karan Joseph who tragically passed away on Sep 9th. On September 1st 2017, The Sidd Coutto Experience featured on the 2nd edition of Maed in India Live! Opening with a brief chat with Sidd Coutto and Aditya Ashok (aka OXYGEN), Sidd Coutto performed live with his band at antiSOCIAL, Khar, playing some of his popular tracks as well as new Unreleased material. For all those who missed the show, here is your chance to listen in! 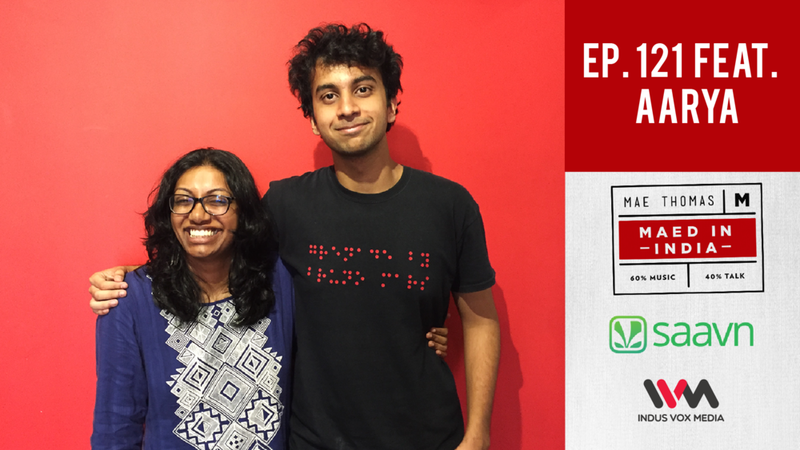 On this week’s episode, we have hindi-urdu singer-songwriter Kavish Seth! We talk about his journey pursuing music, his indie music project Zubaan (which brings together musicians from various genres) and 'Noori' a unique instrument he's help build. Opening the episode is a track by Pune-based indie folk maestros Easy Wanderlings whose debut album "As Written in The Stars" is out now! On this week’s episode, we have 3 piece punk garage rock band Dossers Urge! We talk about being brothers in the same band, how they started performing at Tribal Freshers Meets in the North east as well as recording their songs in a studio in Brooklyn. Opening the episode is a track by indie scene mainstay, drummer, vocalist & producer Sidd Coutto who’ll be performing for Maed In India Live v2.0 on September 1st at antiSOCIAL, Khar!